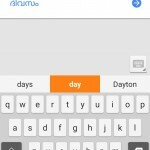 Google Translate App Is a Free Android Application for Translating Text. With the help Of This Free Android Application You can Any Language To Malayalam. Google has developed lot of free to use tools and applications to help us. Google Translate App is one of the most helpful application for the users. With the help of Google Malayalam Translate Application we find the Malayalam meaning of Any English Word. Please Be Remember That It will Convert only Valid Data, You will not get any output for Meaningless Words or Text. 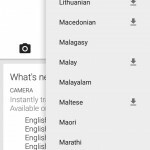 You can check the step by step details of Installing Google Malayalam Translate App in Your Android Mobile Phone. If you are using dekstop you can directly use this by opening https://translate.google.co.in/. 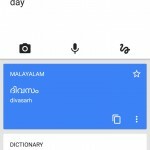 It will also work in Mobile Browsers to, but installing Google Malayalam Translate App is easy and We can use the same. From here you can check the procedure and usage of Google Malayalam Translate App in your phone. First step is open the google play store and its very familiar with all. Just open the google play store and check the search box. Type ” Google Translate ” and It will list the result. Check the image for searching Google Malayalam Translate App in your mobile phone. It will list the download page of Google Malayalam Translate and you can install the same by click the install button. Once you click the install button it will start downloading and installing the Google Translate app. Once you successfully installed the google translate app you can open it. 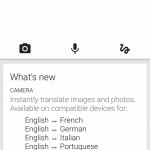 Open the google translate app settings to set the languages. You can set the input language and output language from here. For example you need to translate English text to Malayalam, Set Input as English and Output as Malayalam. Check The Below Images for The Details. Now you can check the Application in Your Mobile phone, Check the Below Images for more details about the usage.